The interdisciplinary program of Latin American & Latino/a Studies (LALS) has as its mission the fostering of a rich and critical understanding of Latin America, including Brazil and the Hispanic Caribbean, in its broadest sense. To this end, the program focuses on the cultural production, history and political, social and economic structures created by the inhabitants of the area extending from Mexico to Tierra del Fuego, from California to Cuba, and in dialogue with the rest of the world. Students explore the diversity that existed in Latin America before the arrival of Europeans, the societies that subsequently developed among Native Americans, Europeans, Asians and Africans, and contemporary issues and forms of expression both of Latin Americans and of Latinos in the United States. Students can choose from approximately 30 courses on Latin America offered every year by the departments of art, comparative literature, dance, government, history, sociology and Spanish and Portuguese, as well as from the interdisciplinary courses offered in the Latin American studies program. Fifty or more courses on Latin America are available through the Five College Consortium. For informed coverage, updates and in-depth analysis of the political situation in Venezuela, read here and here. The most exciting Latino/a exhibitions of 2019? Read Remezcla's suggestions here. A new journal devoted to encouraging and strengthening science, technology and society studies in Latin America and the global south, has launched its first issue. To understand Latin America and Latinos in the United States through the lenses of literature, the arts and the social sciences. To investigate the specific historical conditions that have shaped—and continue to shape—these societies. To develop communication skills in Spanish and/or Portuguese. To further knowledge of the unique ways in which visual culture, literature, artistic production, history, politics and economics intertwine for present­-day people who consider themselves Latin Americans. These goals focus our curriculum to prepare majors to successfully attain essential capacities, with particular strengths in developing historical and comparative perspectives through the study of the development of societies, cultures and philosophies; the study of languages; and the understanding of multi­- and interdisciplinary approaches. Likewise, the program curriculum fosters the development of informed global citizens with its fundamental commitment to engaging with communities beyond Smith, domestically and internationally, and its attention to the regional and global challenges of ethnic and racial diversity, as well as gender, environmental and social justice. The curriculum is attentive to the development of critical and analytical thinking skills and the cultivation of the skills necessary to convey information and understanding. Students develop close reading, clear speaking and writing skills, most explicitly but not exclusively in literature and history courses. Course offerings in the humanities create opportunities for creative expression, in written as well as visual media and performance, and those in the social sciences develop the necessary skills to evaluate and present evidence accurately, verbally and in writing. Community­-based research courses and public scholarship -oriented research projects provide opportunities for students to work collaboratively and to reflect critically on the collaborative process. The major (10 courses, 40 credits) builds upon core interdisciplinary work in Latin American Studies and centers a commitment to the study of Spanish and/or Portuguese. Building on the strength of the core, students will follow a program of studies related to Spanish America and/or Brazil from the disciplines of anthropology, art, dance, economics government, history literature, sociology and theater, through courses offered in affiliated departments and programs. Given the importance of Latino/a studies within the field of Latin American Studies, majors are required to take at least one course in this field. LALS emphasizes student-adviser mentoring partnerships to chart an appropriate curricular path through the major based on students' academic and co-curricular interests. Of these seven courses, at least one must focus on the period before Independence (e.g., pre-1825) and one must focus on Latino/a studies. The minor in Latino/a studies consists of six courses (24 credits) emphasizing key intellectual and methodological capacities: exposure to the shared, transnational histories of Latin and Latino/a America; critical engagement with Spanish as a language of thought and cultural production; a shared, intellectual and interdisciplinary experience with a community of majors and minors in the program. Students may count one course in Latino/a studies from another Five College institution toward the minor. Please consult the director of honors for specific requirements and application procedures. More information about honors is available of the class deans website. Admission by permission of the Latin American and Latino/a Studies Committee. The same as those for the major. Thesis proposal, preferably prepared during the second semester of the student's junior year and submitted for consideration no later than the end of the first week of classes the following September. A thesis and an oral examination on the thesis. For additional information, please refer to the Smith College Course Catalog. The Impact of Cuban Ballet. Lester Tomé, associate professor of dance, has been researching how Cuba is an important center for the training in and appreciation of ballet internationally. Public Health in Chile. 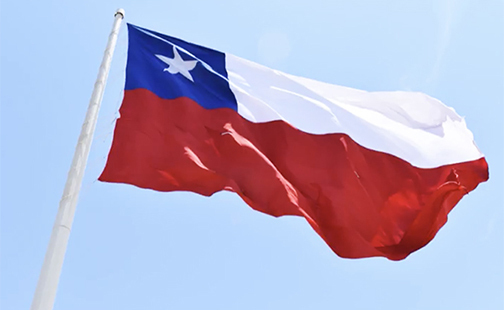 Maya Salvio ’18 studied abroad in Chile, looking at the effects of biomedicine on the perceptions of mental and spiritual health in the Mapuche indigenous community. A Story Map of Cacao. 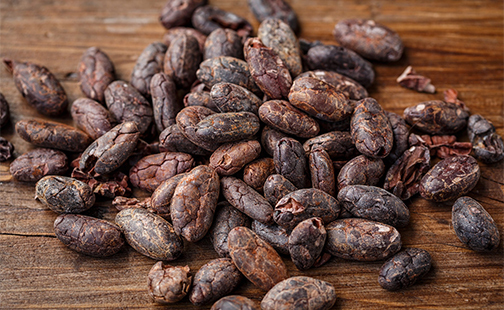 Students in Professor Elizabeth Klarich's course ANT 226: The Archeology of Food outlined the history of cacao and its role in farming, the economy, politics, environmental impacts and more. Blackness in the Americas. Students in Professor Ginetta Candelaria's SOC 222 course created an interactive project to unearth marginalized histories and uplift Black narratives and cultural contributions. The faculty teaching Latin American studies at Smith have done extensive research into the experiences of Latino/a populations in the United States and on countries including Argentina, Cuba, the Dominican Republic, Mexico and Peru. Interests include colonial visual culture, Latin American feminisms, indigenous and popular social movements, performance arts, contemporary literature and film, race and racism, immigration and border politics. The Smith College Office for International Study has an extensive list of programs available for students wishing to go abroad. This list changes frequently, so please contact them directly for details. See your academic adviser for more opportunities. Fifty or more Latin American courses are available through the Five College Consortium. More information about studying at the Five Colleges is available on the registrar's website. Students interested in pursuing graduate studies in LAS have the option of completing an M.A. in Latin American studies at Georgetown University in only one extra year and a summer. Those interested must consult with an LAS adviser during their sophomore year or early in their junior year. Students primarily interested in Latin American literature may wish to consult the major programs available in the Department of Spanish and Portuguese. A list of resources related to information literacy skills drafted by faculty, related to Class Guides (below). The Five College Certificate in Latin American, Caribbean, and Latino Studies gives you the opportunity to show an area of specialization in Latin American studies in conjunction with or in addition to your major. Delve into language, identity, nation, geography and culture from integrative and transcultural perspectives. Formerly Nosotras, LASO provides a support network for women of different Latina origins and promotes active cultural exchanges between all Smith students. ISSA raises awareness of indigenous issues locally, nationally and globally, and supports students who identify as indigenous or want to explore indigenous cultures.